A great way to make giving back to your community even more meaningful is to volunteer with friends and coworkers, and today’s featured volunteer knows this well! 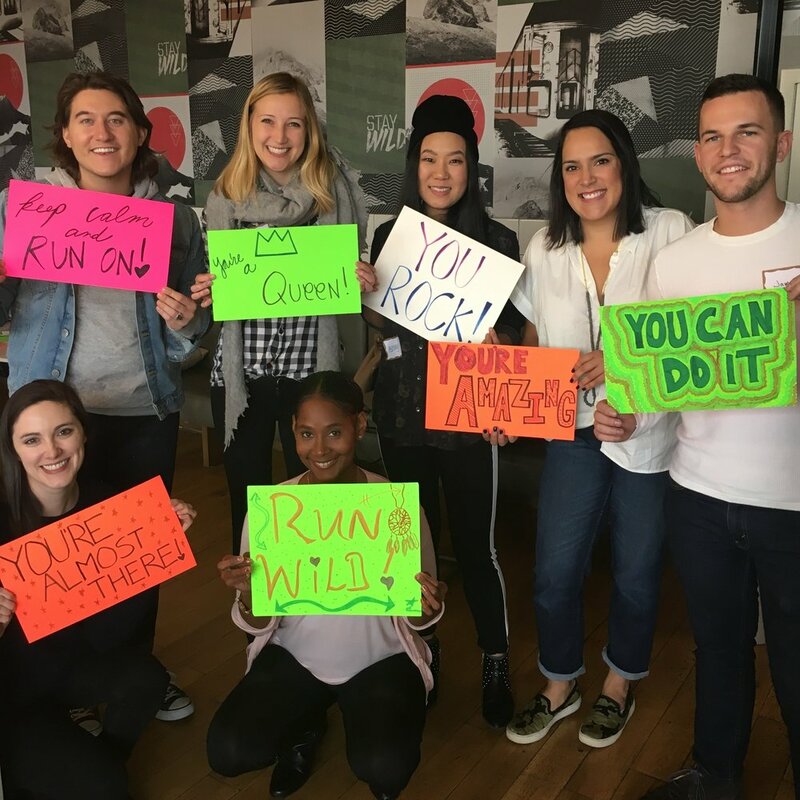 Clare and her fellow Kohl’s employees have been supporting Girls on the Run for several years, often visiting the GOTR NYC office to assist staff leading up to our program season and events. Kohl’s is one of many companies with a corporate responsibility initiative that makes it easy for its employees to donate their time and make a difference! Clare shares her experience volunteering with the Kohl’s team below. What brought you to Girls on the Run? I was recruited by my marathon-loving coworker who previously helped set up the GOTR/Kohl's volunteer events for the NY corporate design office. Having been a runner through college, I wanted to get connected back into the sport and support others in doing so as well! Tell us what it's like to volunteer for GOTR with your colleagues! We have a great time prepping the materials the coaches and participants use, getting a peek into the lessons and trainings they go through throughout the season. Making cheer posters and cutting out the lesson worksheets about building teamwork, camaraderie, and confidence is my personal favorite. These girls are so lucky to have this experience! How has volunteering with GOTR been meaningful to you and to the Kohl's team? Volunteering allows us to give back while also getting to know other coworkers from the Kohl’s NY Design Office and other like-minded people in NYC. Through Kohl's Associates In Action program, we donate $500 to GOTR NYC for every volunteer event that has 5 associates present for 3 hours. So, through volunteering with GOTR, we're able to donate our time, effort, and a few dollars! What do you do to be healthy, joyful, and confident? I believe that surrounding yourself with strong, supportive friends and coworkers of all different backgrounds is one of the most important things you can do to energize and exercise your mind and keep you on your toes! It may be difficult to find the time, but getting outside for a quick run or to a fun dance class with girlfriends always puts me in a good mood and builds a lot of confidence! What GOTR event are you most looking forward to? In all the years I've been volunteering, we haven't been able to make it to the final 5k. Now that the event is on a weekday, we're hoping we can get a big crowd over to the island to cheer on all of the amazing runners. You go girls! Interested in getting your company involved in our mission? Email info@gotrnyc.org for more information about opportunities to support our 5k, Sneaker Soirée, or other events throughout the year!